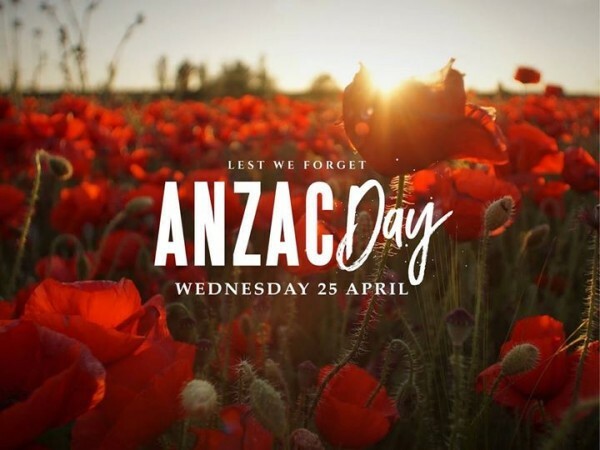 Dawn Service to commence at 6.15am – War Memorial, corner of Murray Street & Penrice Road, Angaston. March commences at 6.30am – corner of Hanson & Clark Streets, Freeling. Dawn Service to follow - Cenotaph, corner of Hanson & Gray Streets, Freeling. Dawn Service to commence at 6.30am - RSL Hall, Kapunda Street, Kapunda. Dawn Service to commence at 6.15am - Soldiers Memorial Hall, 61 Melrose Street, MT Pleasant. March commences at 6.15am – corner of Murray & Gawler Streets, Nuriootpa. Dawn Service to follow at 6.30am – War Memorial, Nuriootpa RSL Clubrooms, 7 Memorial Avenue, Nuriootpa. Dawn Service to commence at 6.15am – Tanunda Memorial Gardens, corner of Murray & Bridge Streets, Tanunda. March commences at 11.00am - Tanunda Post Office to the Soldiers’ Memorial Hall, Basedow Road, Tanunda. March commences at 6.10am – Bottom of Memorial Drive, Williamstown. Dawn Service commences at 6.30am – Memorial Drive, Williamstown (adjacent to the RSL Hall).